Absolutely! This book is constructed so well and defiantly keeps you wanting more. 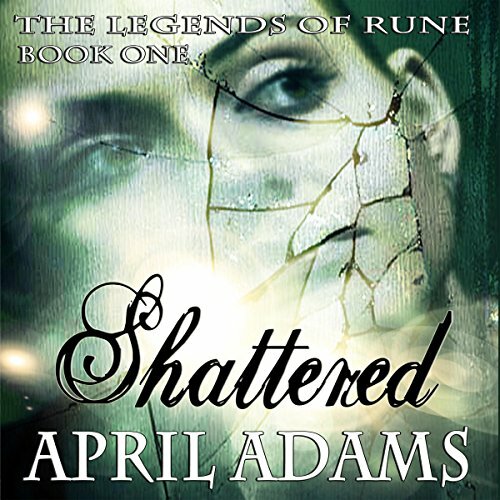 What other book might you compare Shattered: The Legends of Rune, Book 1 to and why? So hard because I have not heard anything like this, it truly is one of a kind and wonderful. What about Keri Horn’s performance did you like? AMAZING! She brought each and every character to life, not sure it would have been the same without her. A reality beyond your wildest dreams. Loved it, just all around a good book. Cannot wait until book 3 is available. Fast passed creative world that has the traditional fantasy requisites, but also adds some modern touches. It is a modern epic that creates a great new series that I am thrilled to have to discovered. I can't wait to start the next book. April Adams deserves kudos for her elemental world. Keri Horn has created a true work of art. Do yourself a favor if you need a fun new series.